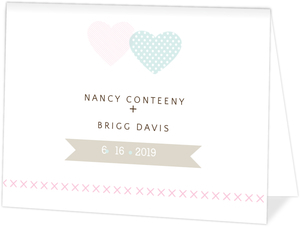 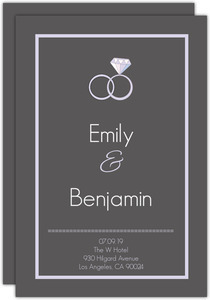 Much like programs and enclosures, these are generally made to match the invites themselves so there's some congruity in design, but we've seen enough weddings to know that there's no one true formula for your perfect wedding a stationery, just do what makes you happy. 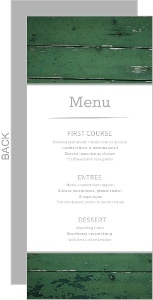 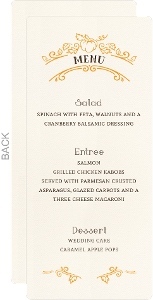 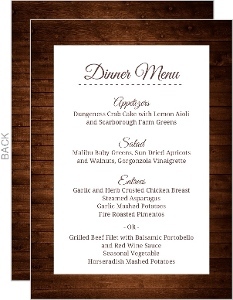 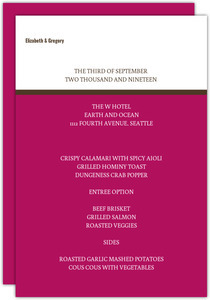 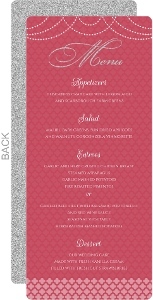 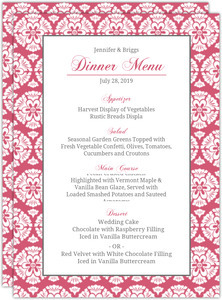 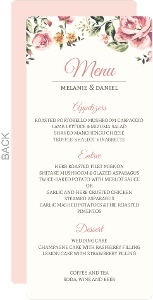 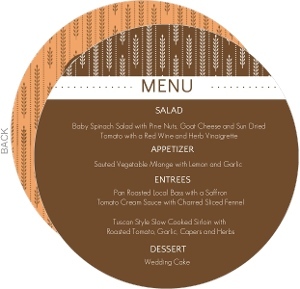 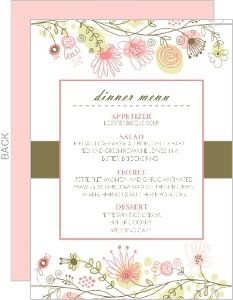 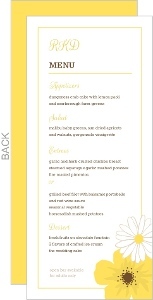 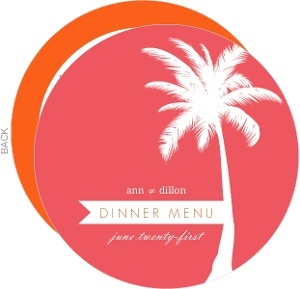 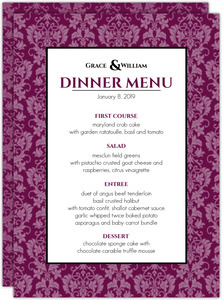 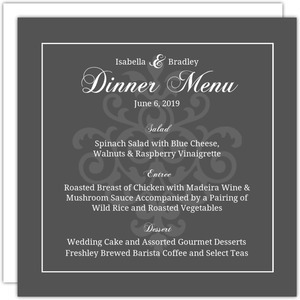 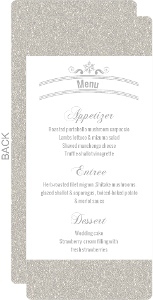 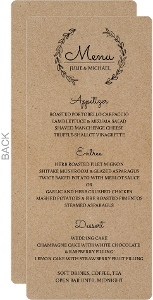 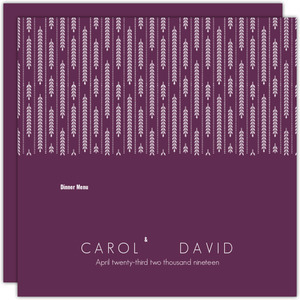 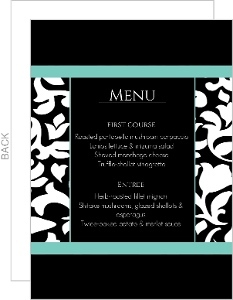 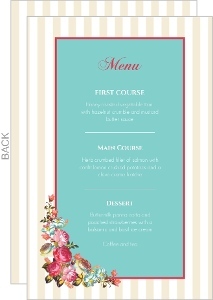 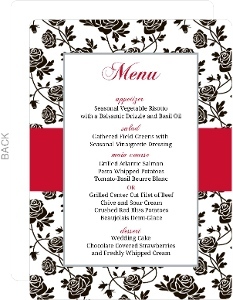 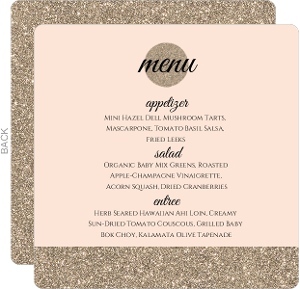 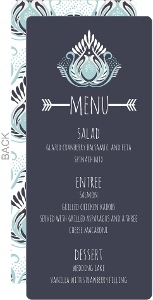 Our wedding menu cards come in a few different sizes and formats, and are all customizable. 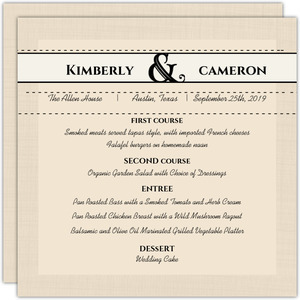 Wedding Paperie will print your wedding menus on high quality card stocks that you can feel are a superior form of paper.